Mast House ~ Plymouth, Devon. 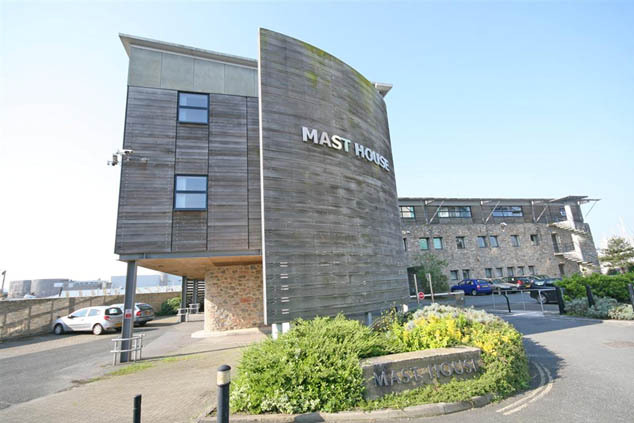 Mast House is a new office block we built at Shepherd’s Wharf overlooking Sutton Harbour along Plymouth’s historic waterfront. It was built for the Land Registry. 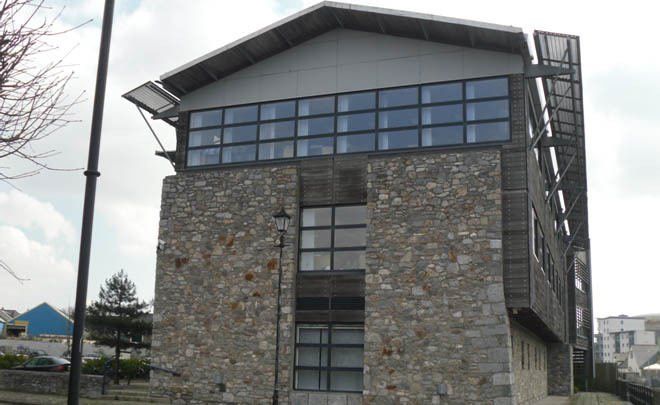 We constructed all the blockwork and stonework for this new office block. 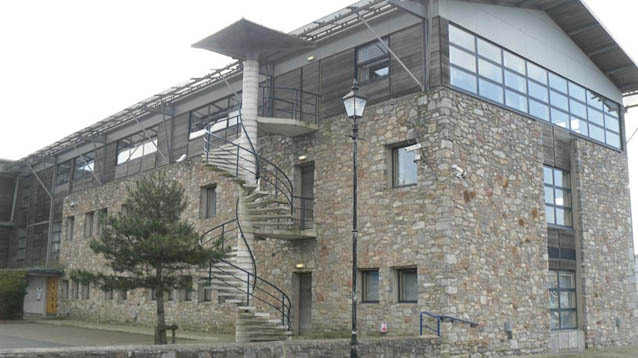 The stone used for this building is reclaimed Plymouth limestone and this came from the existing boundary walls on site that were demolished and a traditional hydraulic lime mortar was used to bed the stones. 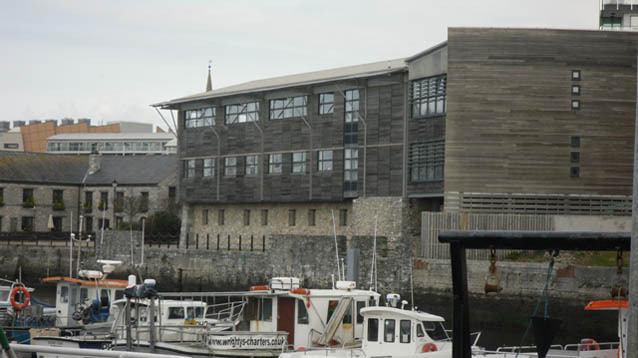 Plymouth limestone has been quarried around here for a few hundred years and is from the Devonian geological period which dates back to between 416 – 355 million years ago. It’s a sedimentary stone which means it is formed when materials and sediments are crushed and compacted to form rock. It mainly consists of the mineral calcium carbonate. It was here in the County of Devon that the Devonian rock series were first recognised in the middle of the 19th century, and rocks of the same age world-wide are referred to as Devonian. Plymouth limestone was formed during what we call the Middle Devonian. The calcium carbonate which forms this stone comes from various corals and sea creatures. One of the most striking features of this limestone is that it contains an abundance of shells and fossils. Veined streaks of white calcite and red-maroon haematite form spectacular patterns within varying shades of the grey backgrounds which is the main colour of Plymouth limestone. 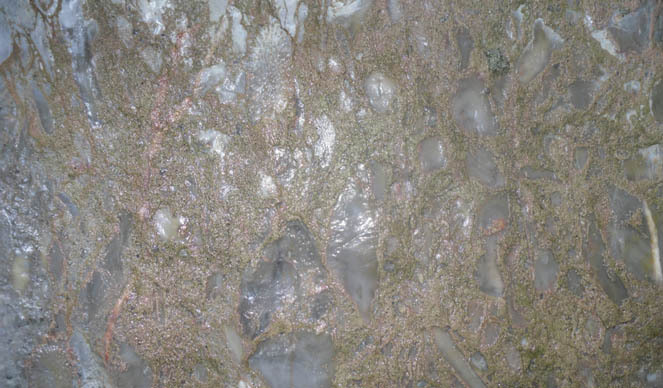 The stone is able to take a high polish and once this is achieved it has been called ‘Plymouth marble’, although technically it isn’t a true marble as it hasn’t been subjected to metamorphic heating deep within the Earth. This is why the fossils are so well preserved. Because of its decorative qualities when polished slabs of limestone from Devon have been used extensively for cladding and flooring and its use features in countless churches, monuments and memorials. You can find it in the foyer of the Post Office Tower in London and the bathrooms of The London Hilton. You can even find it in the President Roosevelt Memorial in Washington D.C. It is the only ‘Marble’ that has been produced recently in Britain. 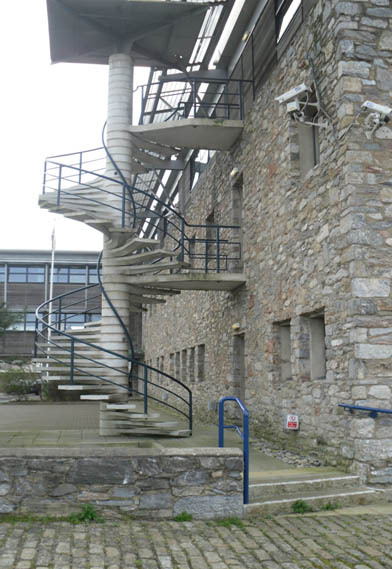 We also installed the spiral staircase. 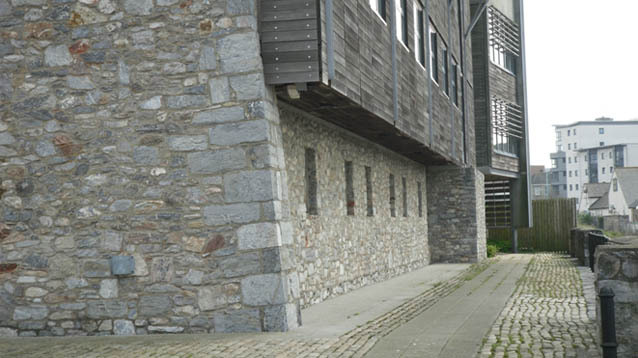 Paving in the form of reclaimed granite setts were laid down around the building. Other works included extensive repair work and repointing to the sea wall that overlooks the harbour.